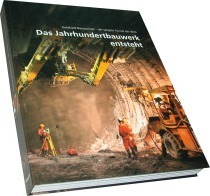 For almost 40 years the STUVA has carried out a survey of tunnelling in Germany. Annually collected data from clients, construction companies and designers are regularly published in consolidated form. An assignment prompted by a corresponding request from the International Tunnelling and Underground Space Association . 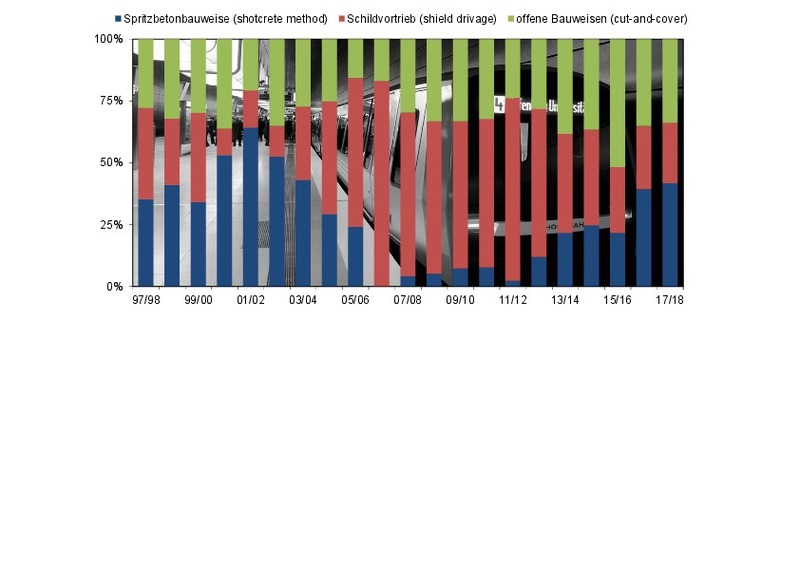 As in previous years, the STUVA also undertook a survey of current tunnelling projects in Germany at the turn of the year 2017/2018. The outcome is compiled in tabular form for the month of December 2017 and subsequently assessed. The table follows up its predecessors published for the years 1978  to 2017 . Only tunnels and drain/sewer structures which possess an accessible (walk-in or crawl-in) excavated cross-section, i.e. a clear minimum diameter of 1000 mm or, including the pipe wall, a minimum cross-section of roughly 1 m2, are listed. On the other hand, small trenchless headings which, in recent years, have frequently been executed in conjunction with main drain construction, the relevant domestic connections, and also pipe-jacking operations beneath rail and road facilities, are not included. The identification number US 0117 therefore refers to a tunnel project with the sequential number 1 from the Underground, urban and rapid transit tunnels sector which was included for the first time in the statistics in 2017. The above-mentioned method of identification was selected against the background that the majority of construction sites, especially those from the transportation tunnel sector, run for two or three years or even more. This method of registration has proved itself in order to avoid projects being counted twice and to identify the new construction volume that was to be included. Relevant indicators relating to calculation of construction lengths and excavated volumes are displayed in keeping with the appropriate year in brackets in Table 1. 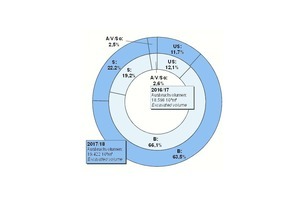 In addition to the details for the turn of the year 2017/2018, the figures from the two previous years can also be found there for comparison. By and large, the tunnel lists on the STUVA internet pages  provide information on the location and ultimate use of the tunnels that are included, their length and cross-sections, and also the soil conditions mainly encountered. The construction method used is explained in brief and the scheduled construction time stated. As far as possible, the clients, designers and contractors are named. Details of constructional or technical aspects of a special nature are also provided for many projects. When comparing transportation tunnels with supply and disposal tunnels, information on the excavated volumes of the individual schemes makes it possible to estimate the actual extent of the relevant measures in a better manner than mere details relating to lengths. However, the following should be observed when comparing the excavated volume: whereas the excavated volumes for trenchless construction measures can be determined with certainty, the comparative value for cut-and-cover methods can only be obtained by subtracting the amount of soil required for refilling from the total excavated volume. 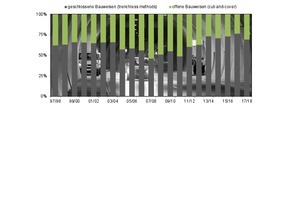 Table 1 provides a picture of the overall tunnelling length under construction at the end of the year in question and the related construction volume. For the turn of the year 2017/2018, Fig. 1 also contains the driven length and the excavated volume in accordance with the type of tunnel utilisation shown in graphic form. A general comparison of the figures in Table 1 reveals a moderate increase in construction activities for transportation tunnels at the turn of the year 2017/2018, with a total of some 182 km (compared with almost 174 km the previous year). Whereas building activities in the main-line construction and Underground, urban and rapid transport sectors remained practically the same, tunnelling activities in road construction registered a considerable increase. 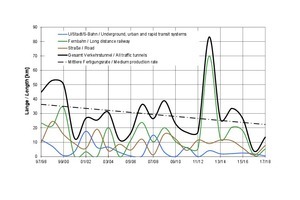 If one considers the data relating to excavated volume, there is a length-related ratio of almost 2.6 : 1 as against a volume-related one of around 40 : 1 when comparing transportation tunnels on the one hand with supply and disposal tunnels on the other (please also see Fig. 1). The question of the completeness of the data obtained from the STUVA survey from contractors and consultants is difficult to assess. 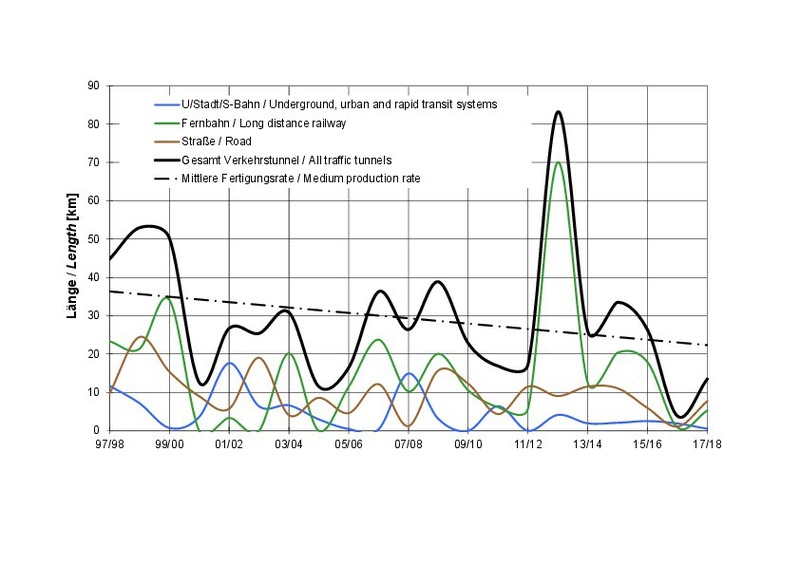 In order to arrive at greater reliability in this respect, the cities engaged in Underground, urban and rapid transit construction activities, and also Deutsche Bahn AG, were requested to supply data. The Federal Ministry of Transport and Digital Infrastructure (BMVI) provided data for federal trunk road tunnels . In a large number of cases, the responses from these authorities and from Deutsche Bahn AG resulted in important additions and corrections. At this point, a special word of thanks goes to the Federal Ministry of Transport and Digital Infrastructure, Deutsche Bahn AG, the other authorities and clients mentioned and the architects and contractors involved, for their assistance in compiling these statistics for tunnelling projects. In the following, the results of the survey as of December 2017 are evaluated more thoroughly in various ways in order to obtain an up-to-date overview of tunnelling in Germany. 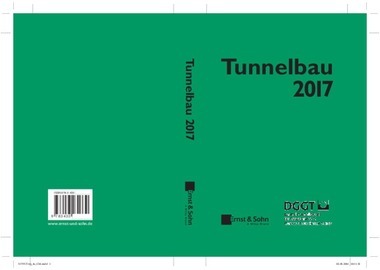 This year, the main activities relating to inner-urban rail tunnelling (table section US) – just like last year – are taking place in Stuttgart, where some 10.6 km of urban and rapid transit tunnels are under construction at the turn of the year 2017/2018. This is followed by Karlsruhe (4.7 km), Frankfurt/Main (4.4 km) and Berlin (3.2 km). Further tunnel projects amounting to less than 2 km are underway in Nuremberg, Hamburg and Dortmund. 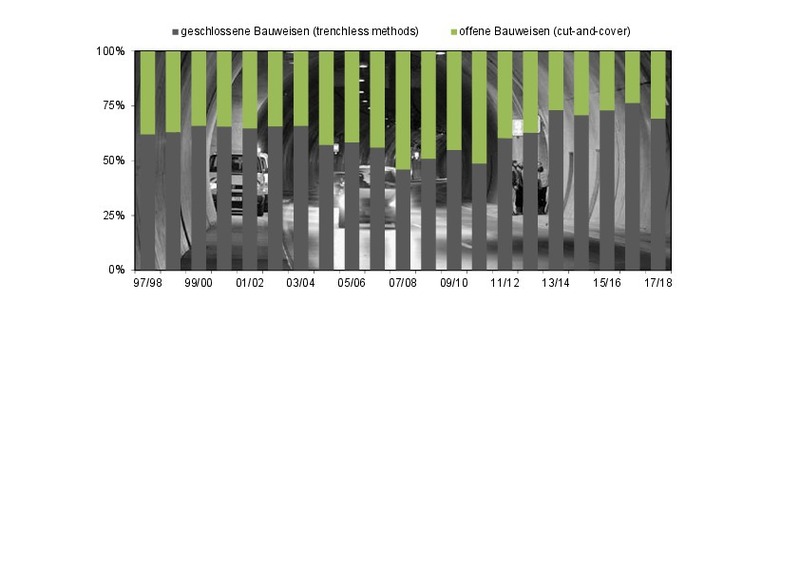 The length-related proportion of trenchless construction methods with regard to inner-urban rail tunnel construction amounted to 16.6 km at the end of 2017, accounting for about 66 % of the total national construction volume for Underground, urban and rapid transit rail systems (65 % the previous year). Of this total, almost 42 % was accounted for by shotcreting methods and roughly 24 % (26 % the previous year) by shield driving. Fig. 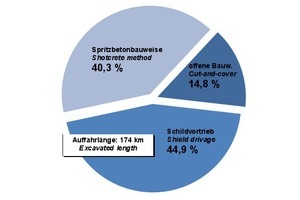 3a provides an overview of the percentages accounted for by the various tunnelling methods. In this context, the diagram in Fig. 4a shows the length-related proportion of construction methods in Underground, urban and rapid transit rail construction during the last 20 years. The main-line rail tunnels listed in table segment B largely relate to DB Netz AG tunnelling works in and around Stuttgart. 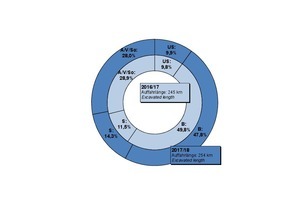 Of the tunnelling projects currently being implemented (a total of 121 km), almost 52 km are accounted for by the major project “Stuttgart 21 rail hub” and some 59 km by the new Wendlingen–Ulm rail route. Further main-line tunnels are being produced in conjunction with the upgraded/new Karlsruhe–Basle section. Currently, 33 % of main-line tunnels are produced by the classical NATM, whereas tunnel boring machines (TBMs) are applied for 61 % of the driven volume (please see Fig. 4b). becomes clearly evident from the award curve in Fig. 5 and above all, from the graphics pertaining to the award and length-related percentages in Fig. 6. 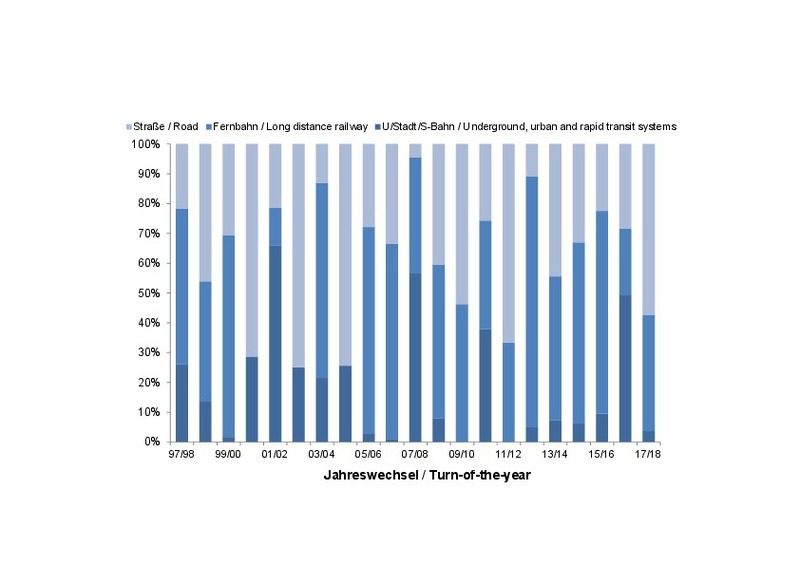 The ratio of road tunnels built by trenchless means and by cut-and-cover stands at roughly 3 : 1 (please see Fig. 4c). 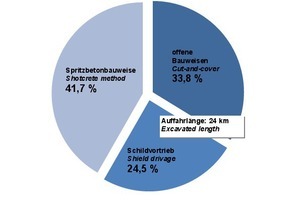 In this connection, shotcreting predominates in the majority of cases as far as trenchless projects are concerned (Fig. 2). In the V and A sections of the table, relating to supply and disposal tunnels, only those of larger diameter – as initially explained – are listed. 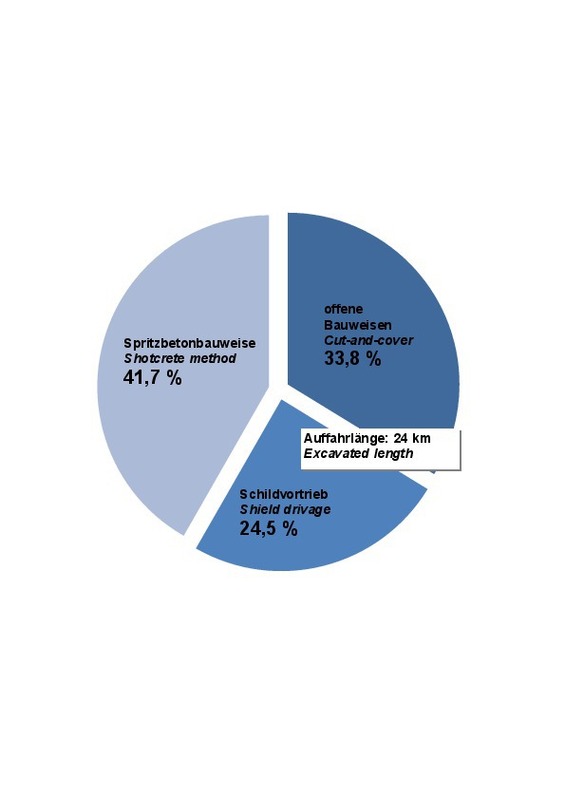 The smallest cross-sections dealt with are roughly 1.0 m in diameter, the largest around 3–4 m. All the supply and disposal tunnels processed at the turn of the year are driven by trenchless means. In the case of waste disposal tunnels, pipe-jacking continues to dominate as it has in previous years. Furthermore, in compiling drain/sewer statistics, it should be pointed out that only major collectors are featured here. The considerably greater part accounted for by drains with smaller cross-section, mostly driven close to the surface by means of cut-and-cover, is not listed here, as this is generally not classified as tunnelling. Table 2 and Fig. 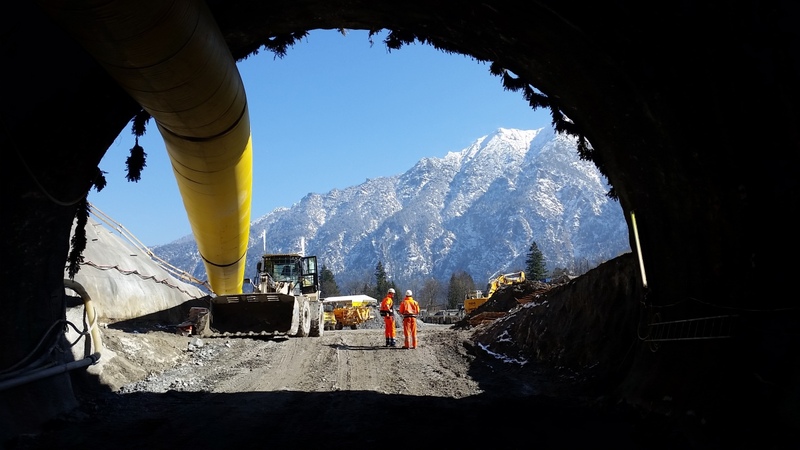 7 provide details of the regional distribution of ongoing tunnelling projects. 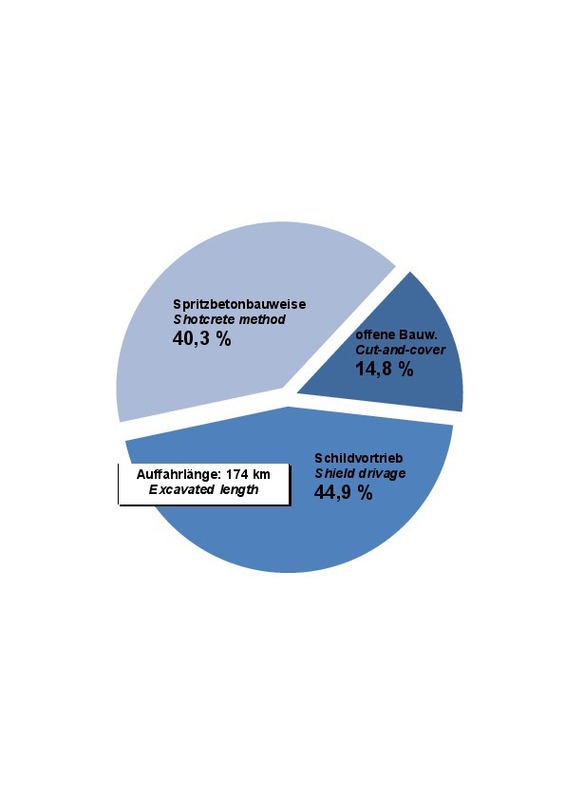 At present more than 3/4th of the volume of tunnels being built nationally on the transportation tunnel sector is accounted for by the federal state of Baden-Württemberg. If one compares the newly obtained driven lengths and excavated volumes at the turn of the year for transportation tunnels based on the statistics of recent years, this provides a revealing picture of just how contracts are awarded. In this connection, Fig. 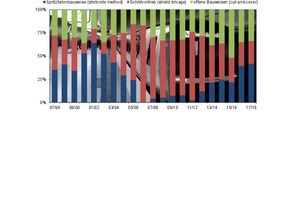 5 clearly shows the important influence of the DB’s upgraded/new lines and displays the continuing fickleness on the part of public authorities in awarding new tunnelling contracts. 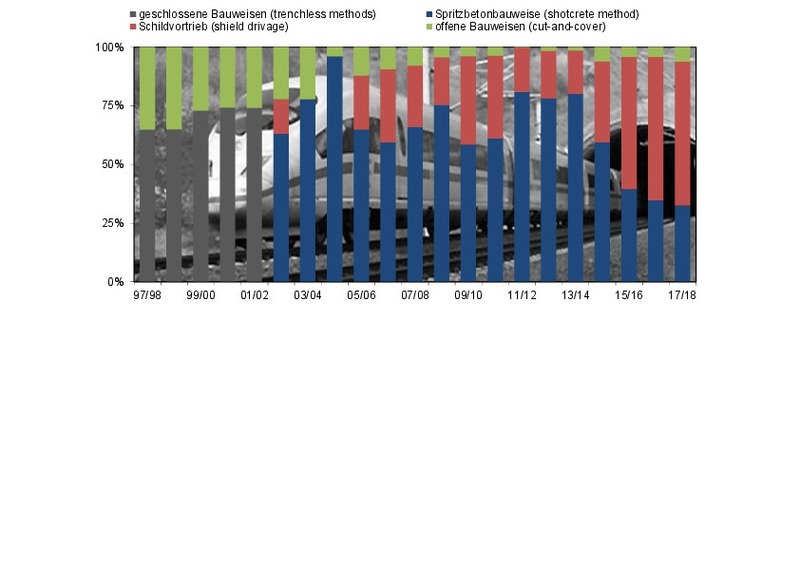 With regard to main-line tunnels, following a steep increase in awarding contracts (mainly on account of the commissioning of “blocks” for the DB high-speed routes) the resultant years experienced an equally pronounced dip (please refer to Fig. 6). Fig. 5 also displays the average annual “completion rate”, which amounts to around 30 km for all transportation tunnels over a period of 20 years. The results of the survey relating to confirmed tunnel projects and those due to be awarded in the near future are naturally of special interest to the construction industry and consultants. Table 3 shows the commissioning period starting in 2018. 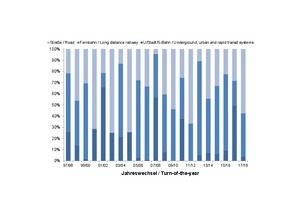 Table 3 clearly indicates that the planning volume for transportation tunnels has shown a further slight decrease. There has again been a marginal increase in the number of Underground, urban and rapid transit tunnels planned. In this context, the planned volume for the city of Munich, comprising a good 30 km, is still conspicuous among the projects being planned. Almost 10 km of tunnels are being planned for the Hamburg Metro (partly at the pre-planning stage). Leipzig is engaged in pre-planning 7 km. 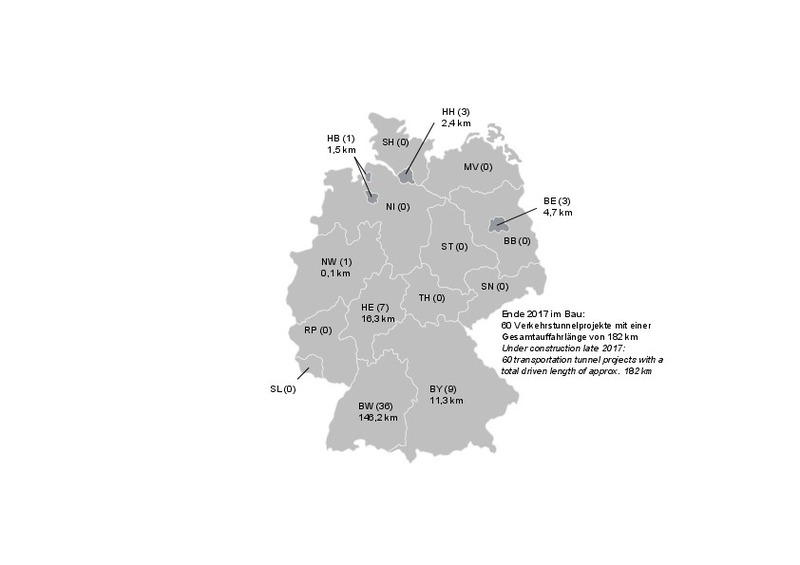 Further tunnelling activities involving less than 3 km are foreseen in the cities of Frankfurt/Main, Nuremberg, Berlin, Düsseldorf, Stuttgart and Dortmund. Regarding the planned volume of main-line rail tunnels, it should be noted that practically the half is accounted for by the tunnels approved for the new/upgraded Karlsruhe–Basle rail line (driven length: some 19 km). Further tunnels are planned in conjunction with the new/upgraded Rhine/Main–Rhine/Neckar route (9 km) and on the Nuremberg–Fürth rail line (7 km). The planned volume of projected road tunnels has again decreased slightly, due primarily to a lack of awards. 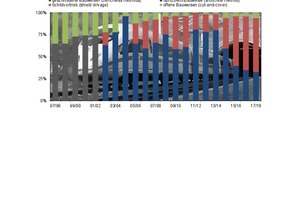 On account of the German state’s revamped planning requirements, the scheduled volume has dipped considerably in recent years. The 106 km or so of planned road tunnels listed in Table 3 have at least generally reached the planning approval stage. This applies principally to the tunnels on federal trunk roads, i.e. those for whose construction the federal government is responsible. Technical details relating to the tunnels contained in Table 3 are available from the relevant detailed tables . Essentially, these are structured in the same manner as the statistics on tunnel projects which are in the process of implementation, as presented in section 1. The same approach was selected to identify and differentiate the individual tunnel projects. However, the letter “Z” has been added to make quite clear that the tunnel construction scheme in question is a “future” one. As a consequence, no details are provided concerning the responsible construction companies, whereas these can be found in the statistics on current tunnel projects. Generally speaking, as far as assessing the detailed data relating to future tunnel projects is concerned, it must be observed that alterations can occur during the planning approval and award stages, above all, due to special proposals, relating primarily to the tunnelling method. Various clients have expressly pointed this out. Alterations can of course, also result with respect to the probable starting and completion dates for projects. It is also of interest for the construction industry and the consultants involved to be aware of the regions for which implementation of the planned tunnel projects is mainly scheduled. Table 4 and Fig. 8 show the relevant details, categorised by federal states. To an increasing extent, partial and complete refurbishing schemes are now being scheduled for old rail tunnels in the years ahead. Generally speaking, such measures call for special organisational and logistical provisions, particularly if these projects are to be implemented without causing disruption to rail traffic as such . Recent examples of this are provided by the complete renovation of the Frauenberg and Kupferheck tunnels on the Nahe valley line between Bingen and Saarbrücken as well as the Langenau and Hollerich tunnels on the Lahn valley line between Wetzlar and Niederlahnstein at Nassau. These lines were originally opened in 1860 and 1862 respectively. Over the next 20 years, a further 92 tunnels totalling more than 39 km in length will be comprehensively modernised in addition to the around 10 km already being tackled. Refurbishing measures are becoming more essential for road tunnels as well, first of all to protect the basic structure quite apart from having to comply with operational and safety technical requirements. This can e.g. involve replacing the concrete for the inner lining or subsequently adding an evacuation or rescue tunnel . At the time of the survey, roughly 5 km of road tunnels were in the process of being redeveloped or retrofitted. Modernisation or refurbishing of a further 13 km or so of road tunnels is currently planned. Details on ongoing renovation schemes are compiled in the table section “GS” or “ZGS” relating to scheduled renovations .